Skilled Trades are not only in high demand but also one of the lucrative careers. If you love hands-on experience, it may be the best career option for you. Skilled trades are not known only for men but also for women too. Many women are now getting involved in acquiring skilled trades. If you want to become a skilled trades, the following information may help. There are 156 different skilled trades in Ontario. Visit Ontario Colleges website to read more about skilled trades. 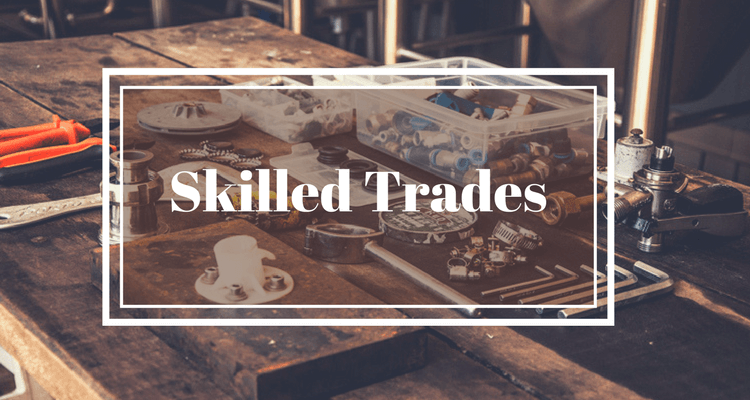 Why you need to consider a career in skilled trades? According to Conference Board of Canada survey, Canada is experiencing a shortage of skilled trade labor. Skilled trades are considered high-paying jobs and in-demand in the workforce. Yes, we get it that it won’t make you look cool because you won’t be wearing a fancy black coat with a tie and fancy name for a job title, but hey! Skilled tradespeople get high-paying salary. It is reported that many skilled tradespeople often earn $60,000 or more for entry-level positions as industrial electricians, pipefitters and powerline technicians and will continue to earn more up to six-figures with more experience and advancement (Ontario Colleges). Other benefits of a skilled trade program are students can learn from skilled and experienced tradespeople. They can earn while doing apprenticeship training or co-ops and complete a college education at the same time. Skilled trades are in high demand in Canada. According to a survey by Skills Canada in 2012 that, “ 98 percent of Canadians reported using the services of a skilled tradesperson at least once in two months,” (Ontario Colleges). As a matter of fact, it is predicted that 40 percent of all occupations will be in skilled trades by 2025 according to Ontario Colleges website. Sure, to fill the gap in this industry, Canada needs more people in skilled trades. This shows that skilled trades are as important as any other jobs that help our day to day lives keep moving.